Police have been teaming up with youngsters from New Whittington Primary School to target speeding motorists in the area. Officers from the Whittington and Barrow Hill Safer Neighbourhood Team visited the school on Tuesday, November 4th, as part of a Speed Watch initiative, to remind drivers of their speed and the importance of safe and considerate driving. The children joined PCSO's Jane Clawson, Sheila Rooksby and Claire Wikeley (above), to carry out the speed checks on Handley Road in New Whittington. The Year 5 pupils each had a turn of using the mobile speed detection device to identify drivers who were breaking the 30mph speed limit. The rest of the group noted down the passing vehicles and their speed for use in class. 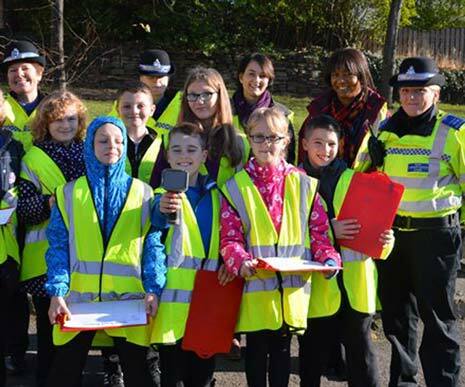 PCSO Jane Clawson from the local policing team said: "Initiatives such as this are a great way to highlight the importance of abiding by the speed limit, particularly on roads close to schools, along with educating the children on issues around road safety. "The youngsters really enjoyed using the 'speed gun' and understood the importance of being safe whilst out and about near roads. "After the speed watch, we also spoke to the children to discuss safety in more depth, along with speaking to the class about our roles of PCSO's and what we do to help to keep the community safe." The Speed Watch initiative comes as part of police action to tackle problem parking around the school. Officers will continue to work closely with local schools in the area to raise awareness of road safety. 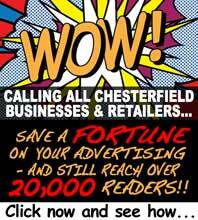 To contact the Whittington and Barrow Hill Safer Neighbourhood Policing Team call 101, or email chesterfield.neighbourhoods@derbyshire.pnn.police.uk.